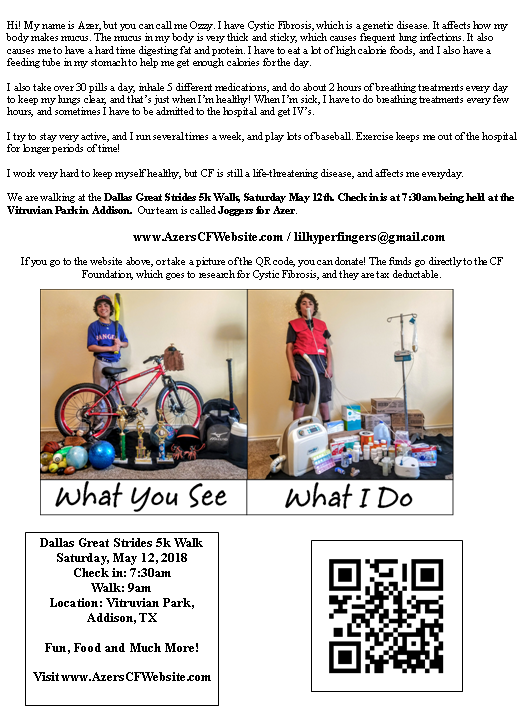 I recently had the opportunity to attend a meeting and heard Bruce Marshall, the VP of Clinical Affairs for the Cystic Fibrosis Foundation speak. He played this video, which of course, drew tears from everyone in the room. My own tears came from gratefulness for the people who have been helped with these new medications, and also sadness, because those pills aren't available for Azer yet. I feel like we've been told he will have them soon, for many years, but it wasn't until this meeting that I knew, it will be very soon. 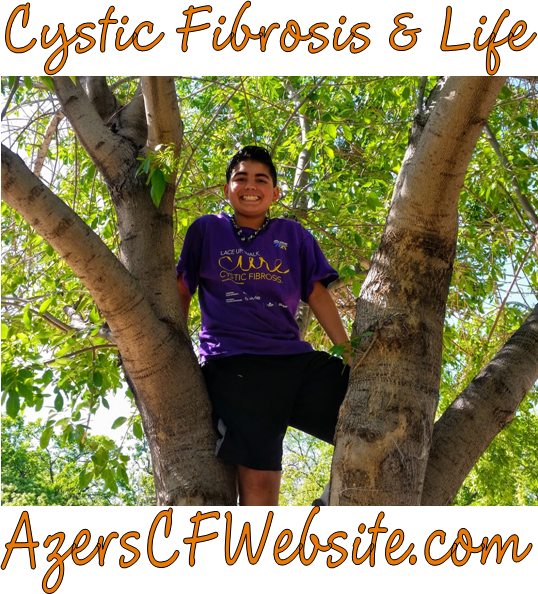 This is an extremely costly endeavor for the CF Foundation, and they will continue to need money to fund further research for mutations like Azer's, and for new medications that will continue to treat the symptoms of CF. 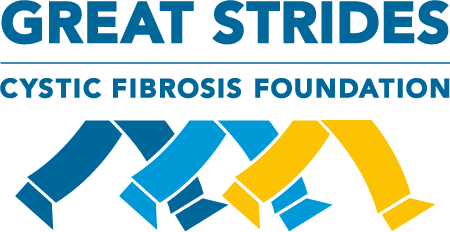 Great Strides is the largest fundraiser the CF Foundation holds annually. As a family, we stride every year, and raise money so that we can soon, have these life saving medications. 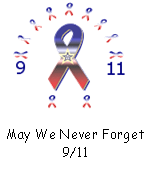 Will you join us in raising money and lacing up for a cure? It looks like the Periactin is working! Azer gained about 4 lbs in only a few weeks just from an increased appetite. From his last Endo appointment, he grew about 1/3 of an inch. He told the doctor that he's had hip and knee pain lately, and he feels like he keeps banging his ankles into things frequently. These are signs that he is growing. Another sign we may see soon is he will need bigger shoes. Azer told the doctor that the pharmacy recently changed needle sizes, and the longer needle is causing the injections to be a little more painful. She said the needles aren't a prescription, so the pharmacy themselves may be able to change this. He also mentioned that the most painful injection site is in his stomach. She told Azer he doesn't have to use the stomach if he doesn't want to. He does need to change injection sites each time, but scarring from injections happens more often with insulin, not so much with growth hormones. The physical therapist came and looked at him for his scoliosis, since there is a risk of it worsening now that he's growing. She noticed that his left scapula area is higher than his left, and we were all concerned that his scoliosis got worse, so the doctor sent us to get an X-ray. The results from the X-ray look good. His scoliosis hasn't worsened, which means that the changes in his posture are muscular from growing, and possibly from pitching. He has been working on pitching quite a bit lately. So, it looks like over the summer, he will be working with the physical therapist every other week again to correct his form. If we don't correct it now, it can eventually be permanent.